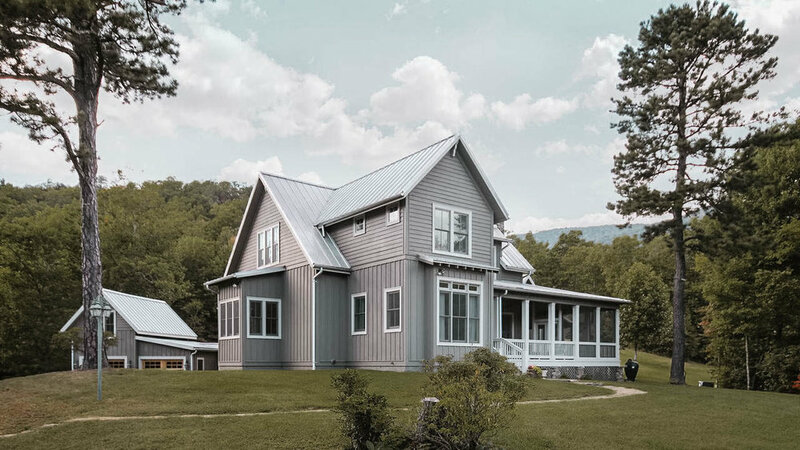 Cradled at the base of iconic Looking Glass Rock and surrounded by the beauty and serenity of the Pisgah National Forest, the 13-acre Pisgah Forest Retreat, located in Balsam Grove, North Carolina, features dramatic views of Pilot, Rich, and Brushy Mountains. From the property, you can walk into the Pisgah National Forest to discover old growth forests, waterfalls, and creeks. A nearby trailhead takes you all the way to the Blue Ridge Parkway and beyond. The 4-bedroom farmhouse style home has beautifully crafted indoor and outdoor living spaces. Numerous print and television campaigns have featured the house and property including Belk and National. Only 45 minutes from Asheville Regional Airport (AVL), the property makes an ideal location for television and film location work. Contact the Pisgah Forest Retreat today to book it for your next production.